Esther Jackson is the Public Services Librarian at NYBG’s LuEsther T. Mertz Library, where she manages Reference and Circulation services and oversees the Plant Information Office. She spends much of her time assisting researchers, providing instruction related to library resources, and collaborating with NYBG staff on various projects related to Garden initiatives and events. 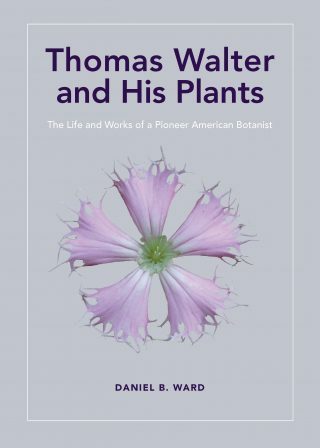 Thomas Walter and His Plants: The Life and Work of a Pioneer American Botanist, a new book from The New York Botanical Garden Press, documents how Walter named, for the first time, many native plants in North America in his Flora Caroliniana, published in 1788. Part history, but mostly scientific, Thomas Walter and His Plants will be of interest to botanists, bibliophiles, and history-of-science enthusiasts. Botanical nomenclature can be quite complicated, but the general idea behind the system is to provide stable names by giving priority to the earliest, validly published name. Thomas Walter was often the first person to apply binomial names to certain species, which means that Walter’s names often have priority over more recent names applied to the same species by later botanists. The big catch is that Walter didn’t leave behind plant specimens as representations of the species he was naming. When scientists find a new plant in the wild and want to give it a name—naming a species new to science—they should also collect that plant and preserve it as the physical evidence of what exact plant they were looking at when they described the species. These are called type specimens. Because Walter didn’t leave us a collection of type specimens, it’s extraordinarily difficult to know with absolute certainty what exact species he was looking at when he was writing his descriptions and assigning names. For a taxonomist—a botanist who groups plant species into categories, or higher ranks—working with Walter’s species names is a great opportunity to solve mysteries related to plant names in North America. 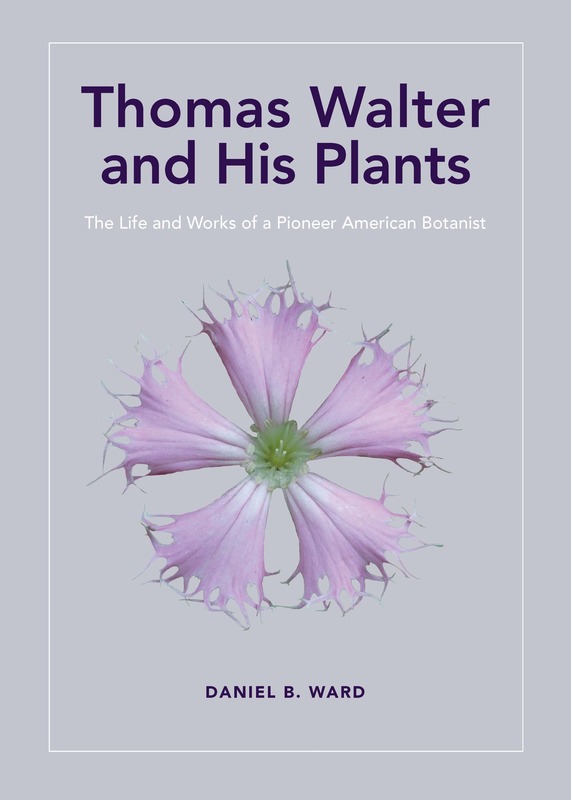 The author of Thomas Walter and His Plants, Dan Ward, was doing just that. Ward died before this book was published and before he had completed all the taxonomic work he had planned with Walter’s names. However, Thomas Walter and His Plants includes information about what species Ward believes Walter was naming, laying the foundation for future botanists to continue this taxonomic work. Anyone interested in the accurate naming of plants of the southeastern United States should read this book, as Ward has drawn a very careful roadmap with signs pointing to some of the taxonomic issues that have to be addressed. Perhaps a reader will even be inspired to continue his work. With thanks to J. Richard Abbott for his editorial notes.